Penny the Penguin returns to Antarctica to serve up a feast! 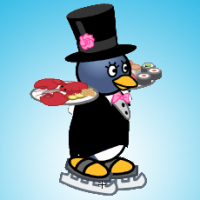 After a very successful stint in the Arctic, Penny decides to open up her own diner on home territory. Help Penny achieve her dream of owning the best diner in Antarctica.